Summer is a great time for construction work, but a brutal time for construction workers. Excessive heat and sun exposure pose significant dangers, such as sunburn, dehydration, heat cramps, heat exhaustion and heat stroke. Every year, construction workers become ill on the job and some even lose their lives due to heat exposure. To protect its workers from the extreme summer heat, Western Specialty Contractors manages a heat illness training program and a safety hotline for its employees. As part of the program, training is provided to all employees and supervisors who work in high temperatures. Training topics include: how heat can affect the body, how to identify the signs and symptoms of various heat illnesses, and what to do if a co-worker is experiencing symptoms of a heat-related illness. 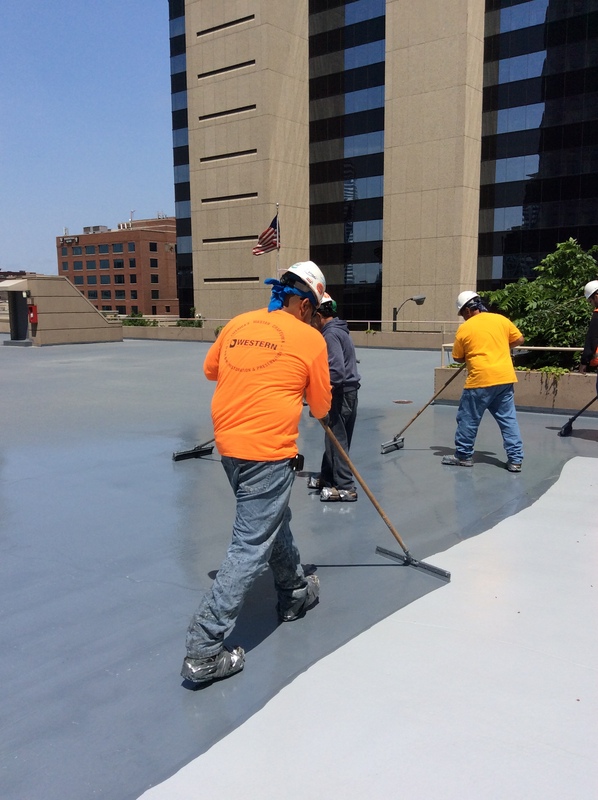 Western also regulates the hotter environment by providing water and shade to workers and by having supervisors and safety managers monitor the heat index so that the proper protective measures can be taken. 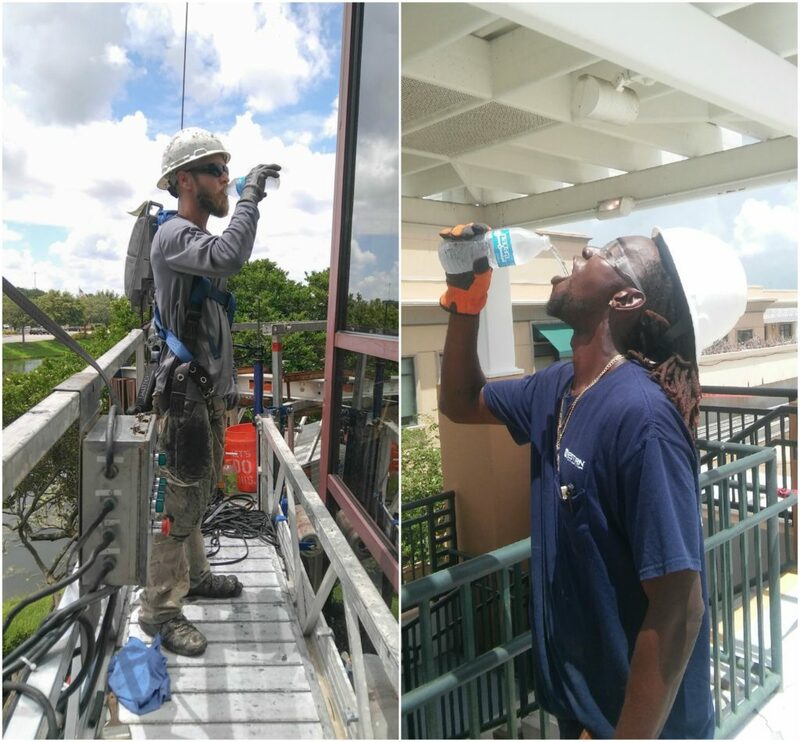 “It is important particularly during the summer months that outdoor workers drink plenty of fluids to help prevent dehydration, which is the primary cause of heat cramps and heat exhaustion,” says Cameron Samuel, Assistant Safety Director at Western Specialty Contractors. Drink water frequently and drink enough water that you never become thirsty. Drink water or other non-caffeinated, electrolytic beverages and make sure that your drinks are always cool, not room temperature. Adding a lemon slice to water can make plain water more drinkable. Wear light-colored, loose-fitting, breathable clothing made from natural materials such as cotton. Avoid wearing non-breathing synthetic clothing. Wear safety glasses with UV protection, sunscreen and brimmed hard hats. Gradually build up to heavy work. If possible, do the hardest work during the coolest time of the day. Workers who are suddenly exposed to working in a hot environment face additional hazards to their health and safety. New workers and those returning from time away need to be extra careful in making sure they stay hydrated. Take more breaks in extreme heat and humidity. Move to the shade or a cool area such as an air-conditioned building or car when possible, but try not to go in and out of air conditioning too much as it will make it harder for you to adjust to the heat. Use cooling fans whenever possible. Select your lunch carefully. Junk food is high in fat and preservatives and will put a high caloric load on the digestive system. Try eating a bigger breakfast, so you’re not as hungry at lunch. Eat light lunches that include fruits, vegetables and salads. Keep an eye on your co-workers and be alert for signs of heat exhaustion. Early symptoms include lethargy, disorientation, stumbling, dropping tools, slurred speech or unresponsiveness. Heat stroke is a medical emergency requiring a 911 call and immediate cooling. Check your urine frequency and color throughout the day. Water intake is adequate when urine is clear or light yellow. When the desire to urinate is less than twice per day and/or you are producing a dark yellow urine, you may be dehydrated. 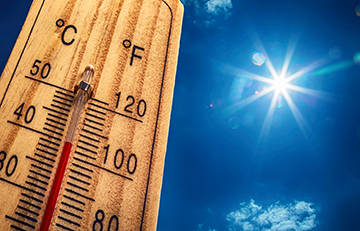 By training employees on the early signs of heat exhaustion, taking the proper precautions, and employing tips like the ones listed above, outdoor workers will greatly reduce the risk of heat-related dangers.